Nu Girlz Foundation is a non-profit organization that focuses on young girls. The organization has therefore designed a program highlights that documents the mission statement and goals of the organization. The organization has also adopted the SWOT analysis tool in order for the organization to identify its strengths, weaknesses, opportunities, and threats. Nu Girlz seeks to design an organizational design from the different organizational approaches and theories. Nu Girlz is a non-profit organization that I have developed. This organization main goals and objectives is equipping and building self-awareness, self-confidence, and self-esteem in young girls. This organization is goal oriented which means that it works toward protecting the girl child in the society. Stereotypes often exist in the society especially among young girls especially among the girl child which means that the Nu Girlz organization is tasked with ensuring that young girls practice self-love. In order to ensure that the organization meets its objectives, the organizations have developed programs that will ensure all young girls are catered for. The programs focus is ensuring mentor relationships are created between the girls and the selected mentors, this is important as it will help in shaping the mindset of these girls. The mentorship programs play a major role mainly because it helps in influencing good moral characters. This will thus ensure that the girls follow suit in the footsteps of their influencers. Stereotypes are the reason why I developed this organization, I believe that these stereotypes have led to the hate and among girls. High school environments have encouraged these stereotypes whereby girls face humiliation and name calling from other girls. This can be hazardous as it can drive these girls to suicide. An example of a stereotypic behavior is the creation of pages on social media outlets that criticize girls in terms of their body features. Nu Girlz organization has therefore been tasked with ensuring that girls are self-confident in their looks and their character. The building of positive energy is important as it helps in ensuring that girls particularly believe in themselves. The organization mission statement is the development of positive self-image in the girl child, confidence in order to prepare each girl with the proper tools and assets that will be needed and be useful in the next generation. Its programs will help in molding mindset and dream of the girls. SWOT analysis will enable this organization to identify its strengths. Weaknesses, opportunities, and threats. 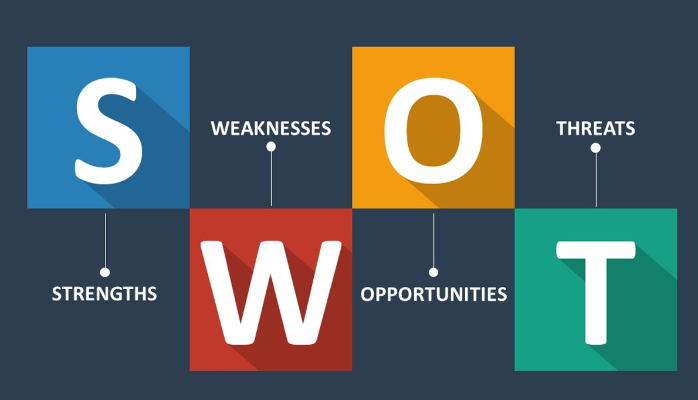 SWOT analysis has always been regarded a tool that helps organizations to formulate strategic plan. Nu Girlz organization adopted the use of the SWOT tool as a strategic measure. This organization has several strengths this is important as it helps in ensuring that they have a competitive edge. An example of this strength is that it is well versed since it consists of teams that comprise of expertise in all dynamics. This means that its programs can provide the girl child with the knowledge that she requires depending on the area she chooses. The organization is also advantageous as mentors get to establish relationships with the girls by knowing each and every one of the girls. Nu Girlz has also strived to ensure that they are well versed in local issues affecting the girls. Despite the strengths of the Nu Girlz foundation, they are also subject to several weaknesses. This weakness has limited the scope of the organization. Financial problems are the weaknesses that stand out, this means that the organization lacks the financial capabilities to cater for all girls. The organizations also have limited funds which make it difficult for it to carry out its programs effectively and efficiently. In order for this organization to acquire funds, it may resort to the acquisition of loans in order to start up, this would mean that Nu Girlz would immerse in debt. Identification of opportunities is important as it will help in ensuring that Nu Girlz program exploits. An example of an opportunity that this program should exploit is technological changes. The dynamic technology has led to the creation of social media pages such as Facebook, Instagram, snap chat and twitter just to mention a few. This will help in ensuring that the program’s marketplace increases. The program should also identify experts in different fields, the organization should then exploit their skills and experience to a greater extent. Nu Girlz organization is also subject to threats, this means that the threats will minimize its full working potential. An example of this is financial problems, this means that Nu Girlz lacks finances or rather funds that will enable the organization to maximize its potential. The Nu Girlz organization seeks to select the best approach that will be helpful in the formulation of organizational design. There are several approaches that will enable the organizational formulate the best organizational design. An example of this is the classical theory, this encompasses the scientific management approach, administrative and Weber’s bureaucratic theory, all this theories focus is on planning (Thompson, 2011). The bureaucratic theory considers an organization as being part of the society, this approach is founded on the basis of principles such as structure, rationality, stability, and specialization. The human service approaches focus on meeting the human needs and want through an interdisciplinary knowledge base, this will thus ensure that the organizations will strive to deliver quality services. The contingency approach is important as it ensures that organizational systems are integrated with the environment in order to establish relationships that are effective for the working of the organization. The open system approach, on the other hand, means that the organization and the environment are in contact which would then facilitate the interaction in terms of its flows and information. Empowerment-oriented theories focus on ensuring people are empowered as it regarded as a value to the working of the organization (http://www.fao.org/docrep/w7503e/w7503e03.htm).